Tools for preparing the planting site (removing the raw humus layer) as well as tools for cutting the planting hole. 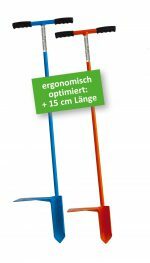 This special spade treats your back and your joints with care. It is acknowledged with care. 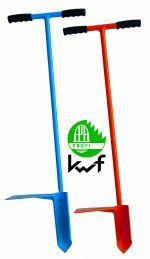 Hollow planting spade - "E"
This ergonomically designed spade is 15 cm longer than the standard spade and ideal for flat planting sites. Solid hand barrow for carrying two container trays. 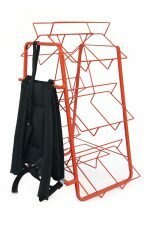 Back barrow for carrying up to 7 container trays, upholstered shoulder straps and upholstered back panel – backpack system. 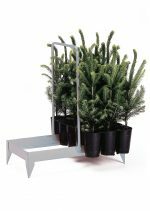 Our prices are calculated ex nursery. They are net plus VAT. If a delivery agreement is made, the transport costs are charged additionally.